Ragna Ragnarsdottir (born 1988 in Iceland) graduated with honors from Ensci Les Atelier in 2016. Working around the intersection of design, art, craftsmanship and production she explores a creative process that enables the design of objects more intuitively. 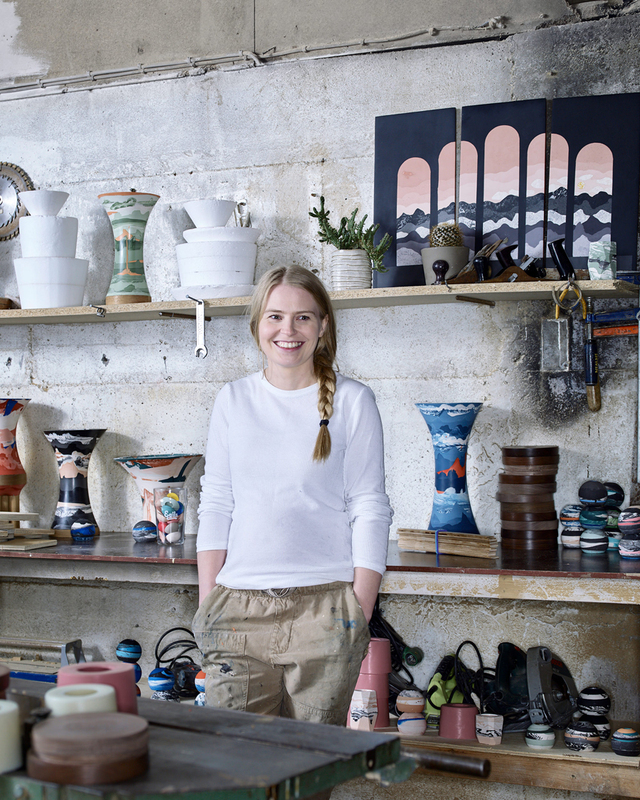 Instead of designing objects from existing industrial or craft techniques, she searches for new processes where the design is a direct result of the production. Always working with accessible materials she takes care of mixing opposite mediums, using materials in untypical ways or making them take an opposite look where the result is a particular product or installation. With her experimental approaches, she hopes to create a positive interaction between the user and the product. 2018 Now Nordic, ADORNO, London Design Week, London, UK. 2018 1000 Vases, Paris Design Week, Paris, France. 2018 Winner of Formex Nova The Nordic Designer of the year, Stockholm, Sweden. 2018 ILLUMS BOLIGHUS × ICELANDIC DESIGN, 3daysofdesign, Copenhagen, Denmark. 2018 Sight of thing, solo exhibition at DesignMarch, Reykjavik, Iceland. 2017 Hors Pistes Nuuk, Nuuk Local Museum. 2017 Design Parade 12, Villa Noailles, Special Mention for outstanding design from Eyes on talents and Frame magazine. HA Magazine, Issue 7, printed spring 2018, Icelandic design magazine. Obliquite, Issue 2, printed june 2018, French annual design publication. AnOther Magazine, April, 2018, UK based magazine. Say hi to_mag, April, 2018, international design blog. Husk. Designblog, Mars, 2018, international design blog. Le Monde, December, 2017, French daily afternoon newspaper. WOHN!DESIGN, Issue 6, nov-des 2017, German design magazine. FRAME Magazine, Issue 118, sept - okt 2017, international interior-design magazine. HA Magazine, Issue 5, printed spring 2017, Icelandic design magazine.